In Massachusetts Museum of Contemporary Art Foundation v. Buchel, --- F.3d ---, 2010 WL 297834 (1st. Cir. January 27, 2010), the First Circuit decided a case of first impression that decided a number of complex issues related to the Visual Artists Rights Act ("VARA"). I first wrote about the case here (Visual Artists Rights Act - Right to Display Works That Do Not Yet Exist - December 16, 2007). 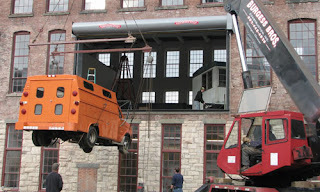 The case involved a Swiss installation artist, Christoph Buechel (The "u" in Buechel has an umlaut, but Blogger, unless I am missing something, does not), who, without a clear written agreement, agreed with the Mass Moca to install one of his works. 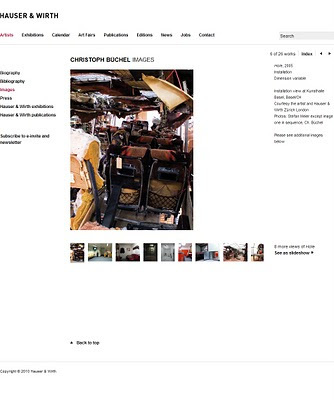 It was agreed that Mass Moca would pay, and that Buechel would own the copy. Buechel's installations have been likened to "bristling three-dimensional history paintings" yet are "so obsessively detailed that they might be described as panoramic collage" (full size images here). The District Court denied Buechel injunctive relief and granted summary judgment against him. The fact pattern was a law professor's delight: during the installation, Mass Moca's staff (being directed by emails from Switzerland, allegedly made aesthetic decisions against the artist's will, made "compromises" he did not agree to, covered the work in tarps (allegedly inviting sneek peeks) and held an exhibition next door, which purportedly was orchestrated to subject the artist to ridicule (a local paper referred to the art as "Crap under Wrap"). 10. Even if VARA doesn't help you, go back to Section 106 and find another traditional copyright that's been violated and allege it. 6. Büchel fails to adequately develop his claim that MASS MoCA violated his exclusive right under section 106(2) to prepare derivative works based on “Training Ground,” and that claim is therefore waived. We thus remand the case for further proceedings on Büchel's remaining right-of-integrity claim under VARA and his public display claim under section 106 of the Copyright Act. Although this has been billed as a victory for artist's rights, it showcases some of VARA's weaknesses (no $$$ for the artist if a right to attribution is violated). It also means that every museum counsel in the country, if not the world, will be trying to force artists to sign away rights as a condition of display. Again, a decision and a fact pattern worth reading and savoring, but a decision that seems to be unfortunate for Mass Moca, an institution that seemed to be trying to support the avant-garde in an idealistic and trusting, if perhaps misguided manner. A scaled-down version of the installation was exhibited at Art Basel in Miami Beach in 2007 and sold. In Thome v. The Alexander & Louisa Calder Foundation, 890 N.Y.S.2d 16 (First Dept. 2009), the Appellate Division, First Department upheld a decision of Justice Charles E. Ramos dismissing a claim against the Calder Foundation. The plaintiff owned a work it believed was created by the late Alexander Calder. Calder was an American sculptor and artist most famous for inventing the mobile. The plaintiff sued because the Calder Foundation refused to include the work in the artist's catalogue raisonne. A catalogue raisonne is a publication that purports to include an artist's entire oeuvre (body of work). (these are allegations only, at the pleading stage). 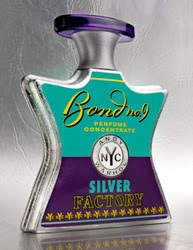 A visit to the Warhol Foundation website shows that they license Warhol's brand, the Bond No. 9 perfume pictured above is an example. In Calder, however, the court dismissed the actions for declaratory judgment and product disparagement. The court found that it did not have the power to declare the purported Calder work authentic nor to order the Calder Foundation to include it in the catalogue raisonne. The court distinguished the law of France, where a French court has the power to appoint a neutral expert and to make determinations of authenticity. According to the Calder court, a court may not act as a connoisseur, except to make rulings on authenticity that are related to actual cases or controversies before it. In essence, the court found that its function is not to tell scholars what is real and what is not. The court also found that the Calder Foundation had no duty to the plaintiff to authenticate the work and that the individual officers of the charity who were sued enjoyed immunity from suit. 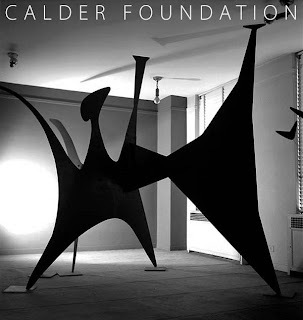 The fact that the Calder Foundation might own Calder works and thus might enhance their value by restricting the market was not enough to survive dismissal. Foundations vary greatly in practices, market power, and credibility. There is no disputing that for certain artists, the foundations act in dictatorial and inappropriate ways, leveraging the artist's power far beyond what copyright law contemplates. Owners of works attributed to Alexander Calder may apply to the Calder Foundation for the examination of the work. The Calder Foundation does not charge a fee for examinations. For the Foundation to consider the examination of a work, the owner must have previously submitted an Application for Registration and a 4” x 5” Ektachrome as well as a written request for an examination. For works which the Foundation has agreed to examine, the owner will be provided with an Examination Agreement. The Examination Agreement must be executed and returned to the Foundation prior to the examination. The Foundation does not provide certificates of authenticity and does not assist with appraisals or valuations. To request an examination, please contact the Foundation directly. Click here to download the Application for Registration in Adobe.pdf format. 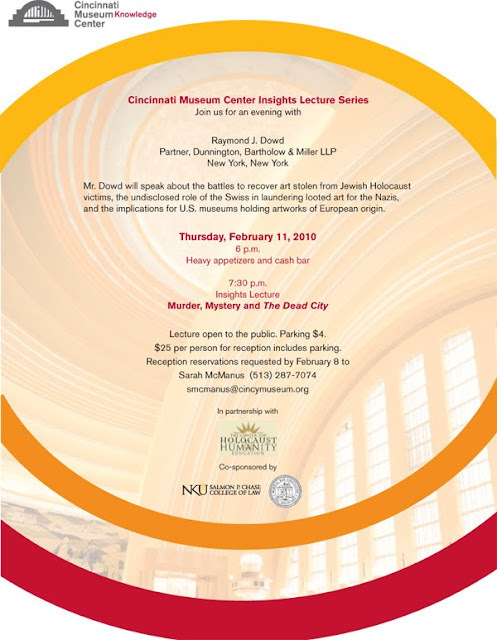 Mr. Dowd will speak about the battles to recover art stolen from Jewish Holocaust victims, the undisclosed role of the Swiss in laundering looted art for the Nazis, and the implications for U.S. museums holding artworks of European origin. $25 per person for reception includes parking. Lecture open to the public. Parking $4. the Cincinnati-Northern Kentucky Chapter of the Federal Bar Association. In Elsevier B.V. v. United Healthgroup, Inc., S.D.N.Y. January 14,2010, Judge William Pauley considered a plaintiff's claim that a provision of the Copyright Act requiring copyrights to be registered prior to an infringement violated the Berne Convention and thus was "preempted" by the U.S. Constitution. The plaintiff commenced a declaratory judgment action that Section 412 of the Copyright Act violated Article IV of the U.S. Constitution because Section 412 conflicted with Article 5 of the Berne Convention. The problem comes up in the following context: many foreign publishers of copyrighted materials do not register their copyrights in the United States, even if they publish or sell copyrighted works in the United States. So when their works are infringed, they do not enjoy the protections of the sections of the Copyright Act that give statutory damages and attorneys fees to persons who have timely registered their works (Sections 504 and 505). Elsevier provides access to a database on which many of the unregistered copyrighted works can be accessed. Elsevier alleged that the defendant permitted others to access the database in violation of a subscriber agreement. Find Section 412 and the rest of the Copyright Act here. The doctrine of "preemption" is used in a number of different ways in copyright practice, but here the Plaintiff was arguing that the doctrine of preemption provides that where the Exective Branch has validly committed the U.S. under treaty powers and Congress has ratified such commitments, any inconsistent laws are "preempted" by the treaty. The Plaintiff pointed to Article Five of the Berne Convention which states: “the enjoyment and the exercise of [rights under the Convention] shall not be subject to any formality.” Find the full text of the Berne Convention here. The District Court analyzed whether the Berne Convention was "self-executing" and found that it was not. In other words, for any provisions of the Berne Convention to be binding, enabling legislation has to be adopted by Congress. The Court looked at the legislation implementing the Berne Convention and noted that Congress decided not to change Section 412. Noting that no federal appellate court has ruled on the question of whether the Berne Convention is self-executing, but that other courts in the district found it not to be self-executing, the Court found that it cannot serve as a basis for a preemption claim under Article IV of the US Constitution. Since the District Court found the Berne Convention not to be self-executing, it found that Article 5 could not serve as the basis for a preemption. The question of whether Article 5 and Section 412 conflict were not reached, leaving the question in the hands of diplomats. Dr. Jonathan Petropoulos delivered a lecture on Nazi art looting in Vienna last fall, focusing on the case studies of art dealers Curt Valentin and Otto Kallir, both of whom moved large quantities of artworks from Nazi Germany into the United States during and after World War II. A link to Dr. Petropoulos' lecture on video is here at the Art Stolen from Fritz Grunbaum blog. Dr. Petropoulos' studies on Curt Valentin and Otto Kallir are extremely important for those trying to track artworks looted by the Nazis that are now in museums and private collections in the United States and abroad. According to a newly-released study prepared for the Swiss government by Laurie Stein, former founding director of the Pulitzer Foundation, the Museum of Modern Art in New York was the largest recipient of artworks from Curt Valentin. Other than Dr. Petropoulos, art historians have completely ignored Curt Valentin, whose clients included a Who's Who of American art museums, colleges and wealthy collectors who snapped up modern artworks as the Nazi terror forced Jews to sell the works at fire-sale prices. Alfred Barr, the MoMA's first director, was said to be in Curt Valentin's gallery on 57th Street on a weekly basis. 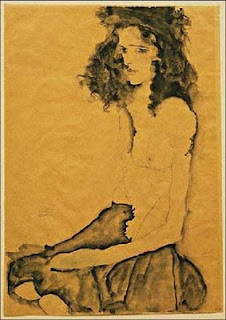 Above is an image of Egon Schiele's Girl with Black Hair, you can see her image at Oberlin College's website here. In 1998, Oberlin College's then-President Nancy Dye promised the Cleveland Plain Dealer that she would investigate Schiele expert Rudolph Leopold's claim that Girl with Black Hair, along with sixteen other Schieles in American museums, belonged to Fritz Grunbaum. Dye never published any results from her research. In 2009, the Cleveland Jewish News reported evidence of Grunbaum's prior ownership, the article is here. Art catalogues show that this artwork was in the collection of Fritz Grunbaum before he died at the Dachau Concentration Camp. The work is at the Allen Museum at Oberlin College, which refuses to document or share its research into the work's provenance prior to its acquisition in Switzerland in 1956 by Otto Kallir. Kallir purchased it from Gutekunst & Klipstein, a clearinghouse for Nazi-looted art in Berne, Switzerland. Oberlin's President Marvin Krislov has refused to permit me to meet with Oberlin's art historians to discuss the matter on campus. Oberlin College has both music and Jewish studies programs. It is shameful that they do not study the life, career, and art collection of Fritz Grunbaum, considered Austria's greatest cabaret performer and comedian of all time, celebrated by the Viennese with Karl Farkas as inventors of the "Doppelconference" a sort of Abbot & Costello routine.